District 3 – August 2012 – Lincoln Nebraska A.A.
Secretary – Sheila H. .
Secretary’s Report: Sheila H. read the June 5, 2012 District 2 Meeting Minutes which were approved. Continue to talk to groups that District 3 is still seeking people to serve as Alternate DCM & Alternate Intergroup Rep.
Corrections Power Point to be voted on. District 3 elected to table the voting of this item until September District 3 Meeting. New District 3 Secretary email is district3sec@gmail.com Bob M. is seeking input from the District 3 groups regarding holding some kind of workshop. Suggestion of possibly doing a play about traditions or sponsorship. All ideas are welcome. Attendance is good. The Saturday meeting is consistent. This is a 7 day a week meeting. The group will be making disbursements shorty. The group is always reviewing and addressing all safety concerns. The meeting is going good. 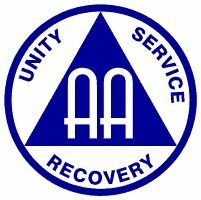 There was some discussion about the concern of what is a good AA meeting and if it would be a meeting that is solution focused. The group is looking at potential changes with the group. The service positions have become less consistent. The attendance has been also less consistent. There has been some discussion of potentially moving the meeting to another location or closing the meeting all together. The group has elected a new GSR who is learning what this role is all about. The group is currently evaluating their current budget. The group is steady and growing. Closed at 7:53 pm with the serenity prayer. Next Meeting will be held September 4, 2012 at 28th and “S” streets 2nd floor at 7:00 pm.